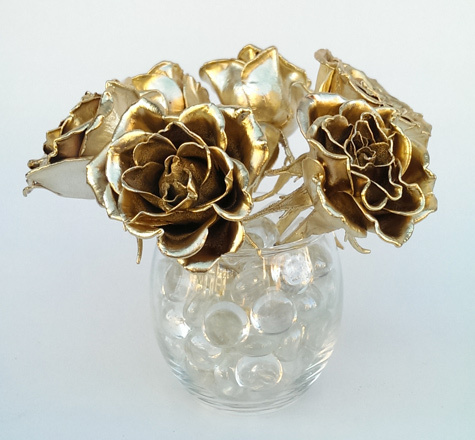 Small real roses preserved to last forever and covered in a layer of real brass. 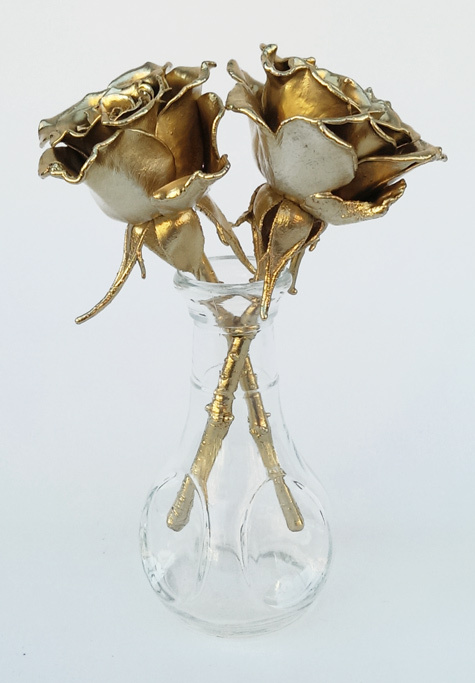 Each rose is made stiff and strong by the process so it is not too fragile - they are more like a small statue with a real, unique rose inside. 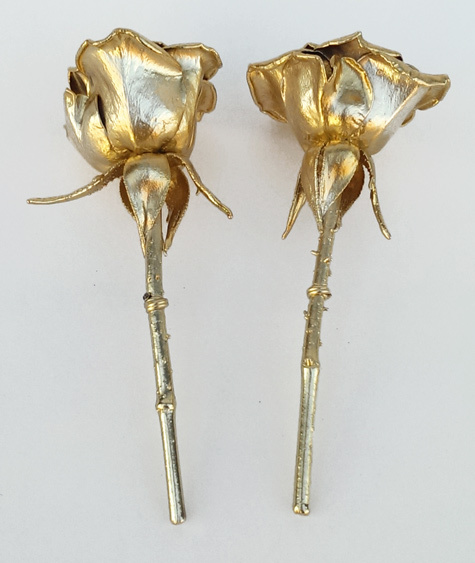 These roses are about 5 inches long. 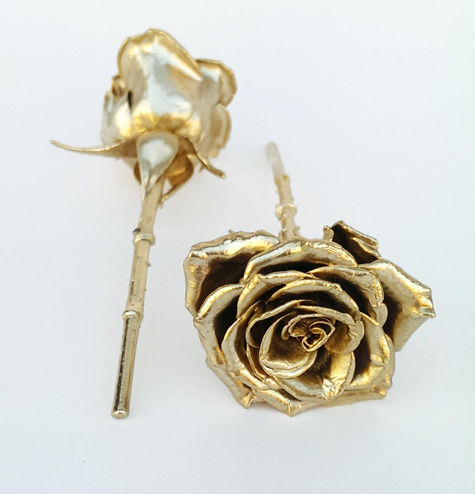 These are perfect for the 21st wedding anniversary because the modern 21st anniversary is the Brass Anniversary or for any occasion that you would like a rose with the unique look of beautiful brass.